The story of a disillusioned young writer living in New York City, who turns to drugs and drinking to block out the memories of his dead mother and estranged wife. The novel Bright Lights, Big City was published in 1984. It was Jay McInerney's first novel. Its unexpected success triggered a whole trend of novels written by young authors (Bret Easton Ellis' LESS THAN ZERO, Michael Chabon's THE MYSTERIES OF PITTSBURGH, and others), which became a new genre of fiction referred to as ""Novels of the Cocaine Culture,"" ""Yuppie Fiction"" or ""MTV novels."" Bright Lights, Big City is set in New York City. The protagonist, a 24-year-old aspiring writer who remains nameless throughout the novel, finds himself in a crisis. He is bored with his job at a prestigious New York magazine, his wife has left him and he suffers from writer's block. To distract himself from his problems he develops a cocaine habit and spends every night out in the bars and clubs of New York. In 1988, >Bright Lights, Big City was made into a movie starring Michael J. Fox, Kiefer Sutherland, Phoebe Cates, Swoosie Kurtz, Tracy Pollan, and Dianne Wiest. In 1999, it was turned into a stage musical with book, music and lyrics by Paul Scott Goodman. 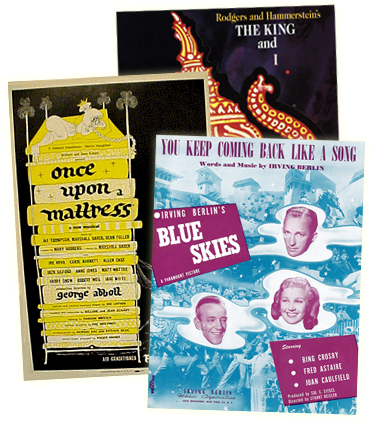 As a fan of the novel, Goodman called the book's author out of the blue to pitch the idea of turning it into a musical. McInerney remembers that ""It sounded fairly implausible to me, but after several chats I gave him my blessing..."" The show was developed for the New York Theatre Workshop, directed by Michael Greif. In September 2003, a revised version was presented in concert at the Guggenheim's Peter Lewis Auditorium directed by Kurt Deutsch, as part of the museum's ""Works and Process"" series. The life of Bright Lights, Big City continued in 2005, when Kurt Deutsch, president of Sh-K-Boom Records, produced an all-star recording. The recording stars Patrick Wilson, Jesse L. Martin, Sherie Rene Scott, Gavin Creel, Christine Ebersole, Eden Espinosa and Celia Keenan-Bolger (and chorus member Kelli O'Hara!). That recording started the show on a rebirth that began at the Prince Music Theatre in Philadelphia, continued with a concert performance at Harvard University on March 5th and soon enters the catalogue at R&H Theatricals. The rental materials for Bright Lights, Big City are currently being prepared, during which time we are not accepting applications. 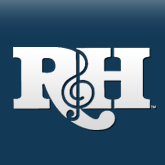 Please watch the www.rnhtheatricals.com website for the announcement of its availability to all customers.